Did you know that Alzheimer’s disease, which is a form of Dementia, is forecasted to grow over 400% by the year 2050 right here in America? So what is Dementia anyway? Dementia is the loss of mental functions including but not limited to: memory, decision-making, reasoning, thinking, and processing information. Not only does Dementia have a debilitating impact on over 5 million patients, their caretakers also suffer significantly in the process. Further, Dementia is the most expensive chronic disease in our country, and growing. At this moment, there are over 5 million people that have been diagnosed in America with some form of dementia. There are many different types of dementia, including but not limited to, Alzheimer’s disease, vascular dementia, temporal lobe dementia, and dementia with lewy bodies (DLB). 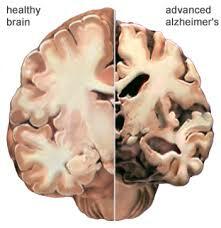 Alzheimer’s disease is a type of dementia, not the other way around. 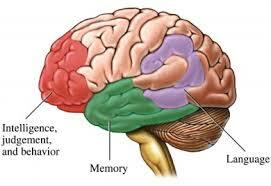 There are some good websites that can provide you with more detailed information on the types of dementias and their symptoms that are listed below. This article will concentrate more upon what you can do to reduce your own risk and possibly reverse or slow the progression of dementia in someone who already has it. It is common that Alzheimer’s disease, along with other types of dementia, is often misdiagnosed. As we, as well as our parents continue to age, it is important to have an awareness of this, as well as some basic knowledge on what you can do to prevent and possibly even reverse dementia. The fact is many memory care units over drug the patient diagnosed with dementia with antipsychotic medications. Sometimes these are necessary. However, more often than not, physicians over prescribe antipsychotics to memory care patients. The outcome often is that the patient will behave more demented, due to the medication. This is not always the case, and medication may be necessary. Forward thinking doctors, such as Kevin O’Neal, Chief Medical Officer of Brookdale Senior Living, has made it a goal to decrease antipsychotics to less than 30%, whereas many memory care units have a near 70% usage of antipsychotics in their memory care units. How do you reduce your risk for dementia? How do you reduce your risk and protect your brain? This is the question we should all be asking ourselves. For many years we have been told that there is little we can do to prevent disease. The good news is we can indeed effectively reduce our risk for Dementia. Here are some ways we can do that. Eat nuts such as almonds, cashews, and pecans, all of which contain Omega 3’s. Eat seeds, such as sunflower seeds, pumpkin seeds, which contain zinc, choline and vitamin E. Eat spices such as turmeric and cinnamon that dissemble brain plaque. Exercise for at least 30 minutes a day. It is important to get your heart rate pumping, which helps reduce plaque in your brain as well as your arteries. If you are limited by physical limitations, learn to do some deep breathing exercises while sitting, lying or standing. Keep the brain healthy by challenging yourself to do new and different memory games, puzzles, and mental exercises. Studies show that it is important to mix them up versus always doing crossword puzzles, for example. Take 5 minutes in the morning, and 5 minutes before bed to be still, clear your mind, and imagine yourself in a desirable and peaceful place. Notice how you feel. Sleep is important, as it is when the body naturally cleanses itself and all of its cells. 1. What is the best spice you can eat to create brain health and help to reduce your risk for Dementia and Alzheimer’s disease? India has the lowest rate of dementia of all nations of the world. In India they eat lots of Turmeric, which contains cucurmin, which is neurorestorative in nature, and is found in curry. You can sprinkle Turmeric on low fat yogurt, egg whites, salmon or virtually anything. Turmeric produces remarkable results in preventing and in some cases, reversing dementia and Alzheimer’s disease. 2. What food is not considered part of a brain healthy diet? It is important to reduce the intake of foods high in saturated fats and high in bad cholesterol. They create plaque in your brain, not just in your arteries, which is commonly what leads to Dementia. 3. What is the best way to get physical exercise if you have physical limitation and are bound by a wheel chair? Breathe in for 8 counts, completely filling your lungs. Hold your breath for 4 counts. Exhale for 8 counts completely emptying your lungs, while pushing your belly button into your spine with your exhale. Repeat this 12 times, 3x per day. About the author, Liz Perry is a Treasure Coast Florida resident who is a Harvard Alumnus. Liz currently is a medical journalist, speaker and educator on disease prevention, national healthcare consultant with over two decades in the medical field. 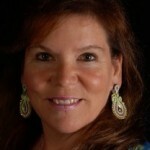 Liz Gibbs (Perry), is a senior partner in Absolute Solutions International, Inc.
HealthyMartin.com is designed to assist you in finding medical doctors, dentists and alternative, organic & holistic health, fitness and sports professionals in Martin County Florida, the Palm Beaches and the Treasure Coast. “Healthy Martin, working together for better health choices for you, your family and friends”.